Today I am honored to be joining in with 20 other talented bloggers to show you some simple Autumn and Halloween vignettes. 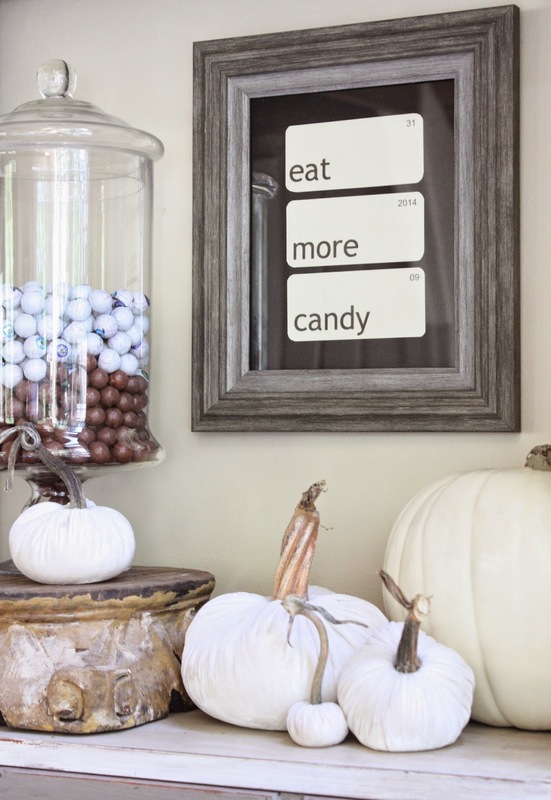 The best part about this is that each one has a free printable for you! A huge thank you to Kristin who organized this and included me. I love vintage flash cards, so I decided to make my own to put by our stash of Halloween candy. 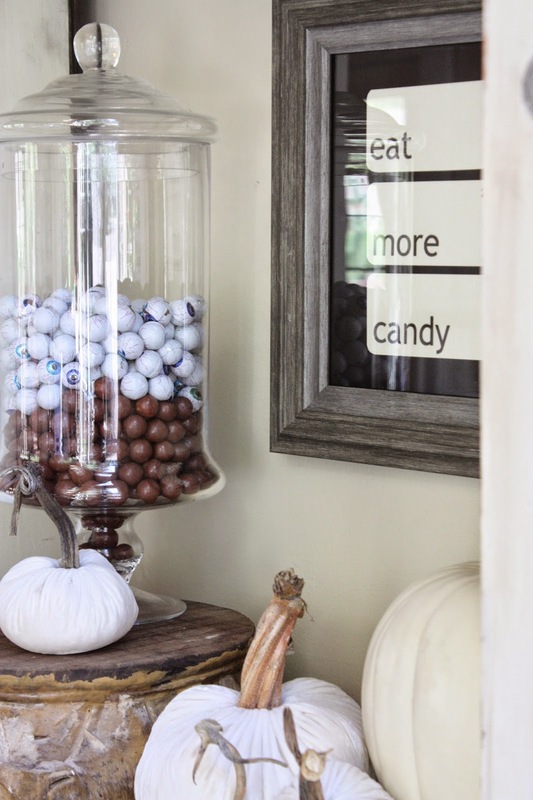 You can fill apothecary jars with your favorite candy and add pumpkins for a quick autumn vignette. And here are the printable images for you. All you will need to do is right click on each image and copy and paste it into a word document. Make sure your document is in "landscape"
You can adjust the size of your flashcards at this point if you'd like. Print on cream colored card stock for that vintage look and cut out around the lines. 8x10 frame I already had. 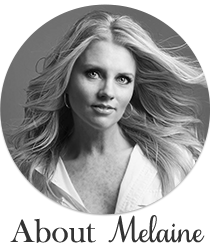 Click the links below to see all the others! I was thinking that for Halloween it would be 10 31 2014. Now that is a message I can get behind :) love it, such a cute idea! Ok, if you insist... ;) I LOVE THIS!! Seriously, love. Absolutely love this!! Who can resist a printable that gives you this sort of permission?!! Awesome! I love the flash cards! Also where did you find your coffee mugs and the rack? Love all your whites & grays!